Government is to receive the second allocation of compact funds from the Millennium Challenge Corporation (MCC) in the amount of $190 million after it met all the required conditions to access the funds. The MCC yesterday submitted a letter acknowledging Ghana’s achievement of this milestone to President Akufo-Addo. MCC granted access to the first allocation of compact funds in the amount of $308.2 million when the Ghana Power Compact entered into force on September 6, 2016. MCC’s investment in the Ghana Power Compact totals $498.2 million. A delegation, led by Prof Yaa Ntiamoa-Baidu, Board Chair of MiDA and Christopher Lamora, Charge d’Affairs and acting U.S. 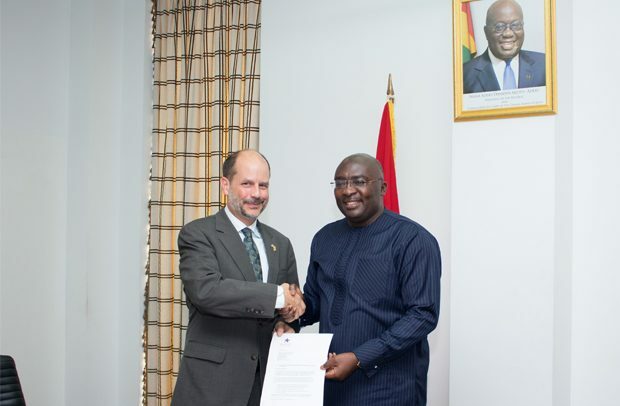 Ambassador to Ghana, presented the letter to the Vice President, Dr Mahamudu Bawumia, who received it on behalf of the President. “Today marks a significant milestone in the implementation of the Power Compact Program. With these funds, MiDA, together with its implementing entities, will be able to carry out the planned investment and reform activities aimed at strengthening our country’s power distribution sector,” said the MiDA Board Chair. “Meeting this important milestone is a testament to the commitment of the Ghanaian government to reform its power sector in an effort to bring critical services to its people,” MCC acting Chief Executive Officer (CEO) Brock Bierman said. Dr Bawumia thanked the US Government and the MCC for their partnership through the Ghana Power Compact; a manifestation of the strong cooperation that Ghana has with the US. “Today is a great day and we are entitled to celebrate our achievement,” he said. He reiterated government’s commitment to ensuring that the compact meets its goal of reducing poverty through economic growth by transforming the power distribution sector.